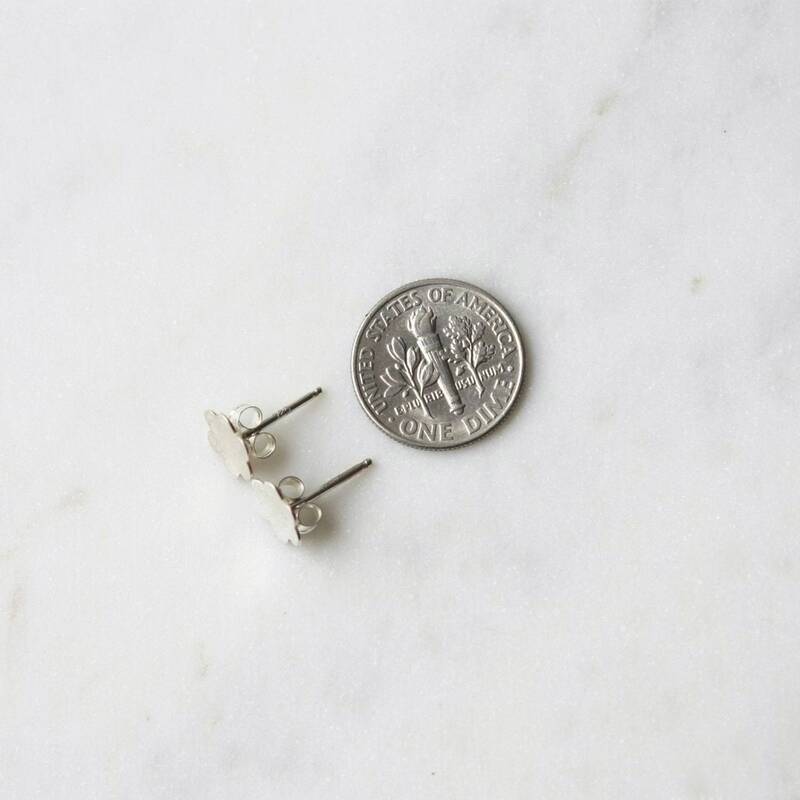 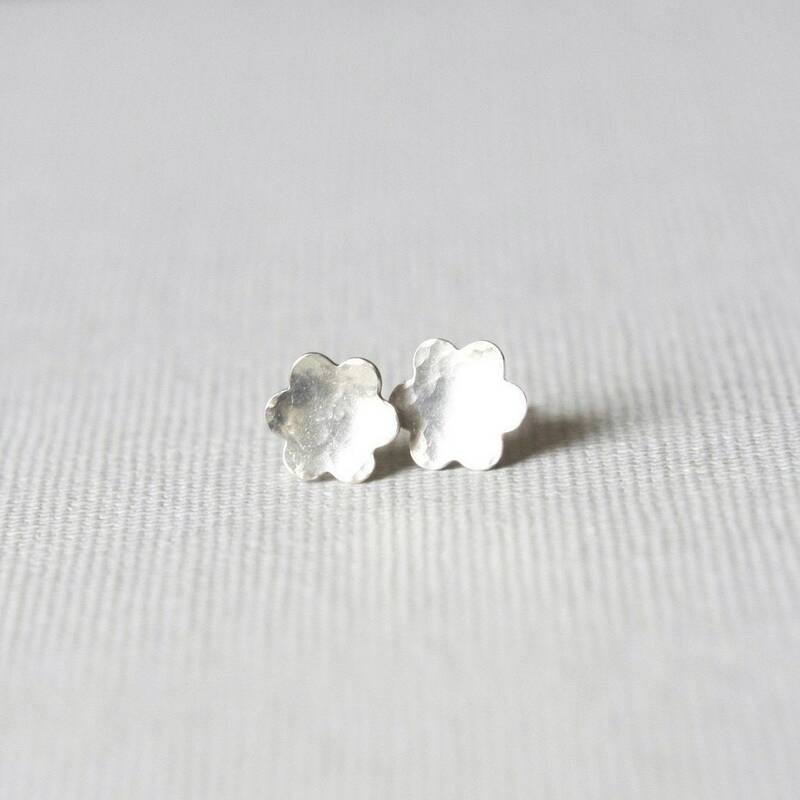 These petite floral stud earrings have lots of shine! 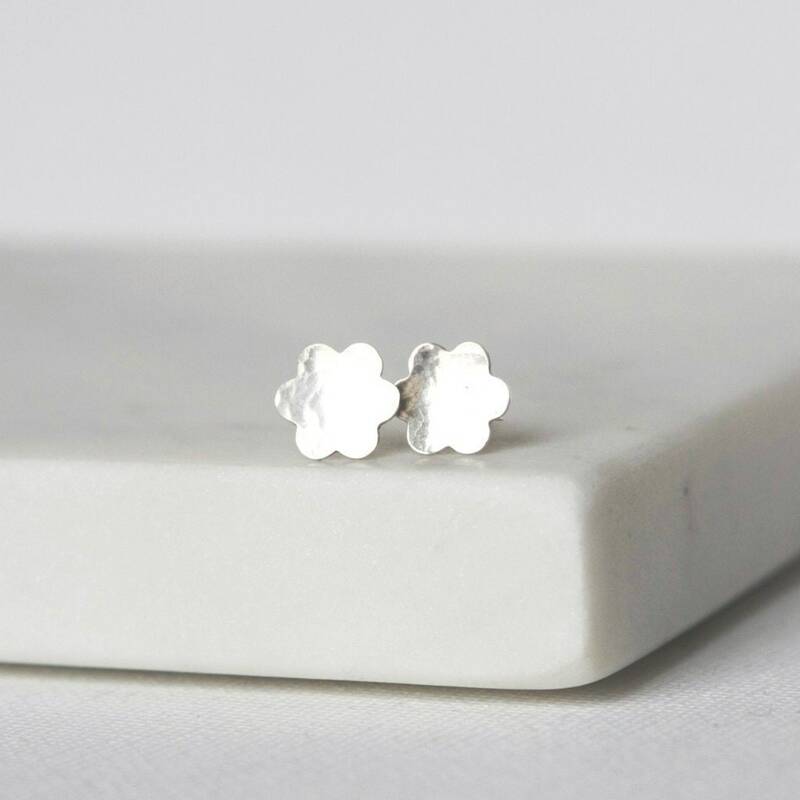 They feature hammered sterling silver flowers, sterling soldered posts and sterling silver backings. 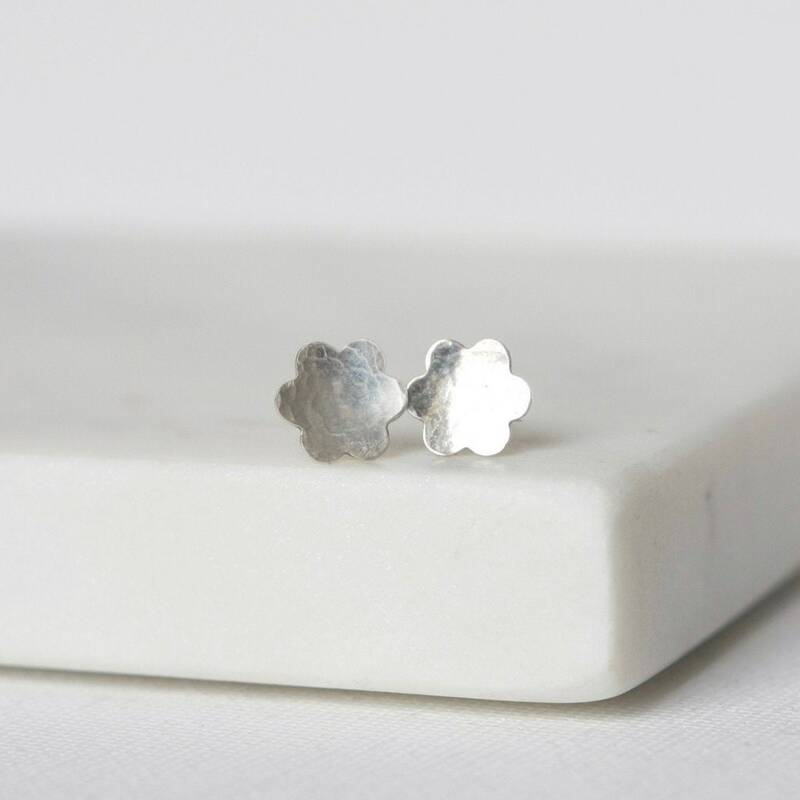 The flowers are 7mm wide - a nice size for studs and the hammered texture reflects lots of light to get them noticed. 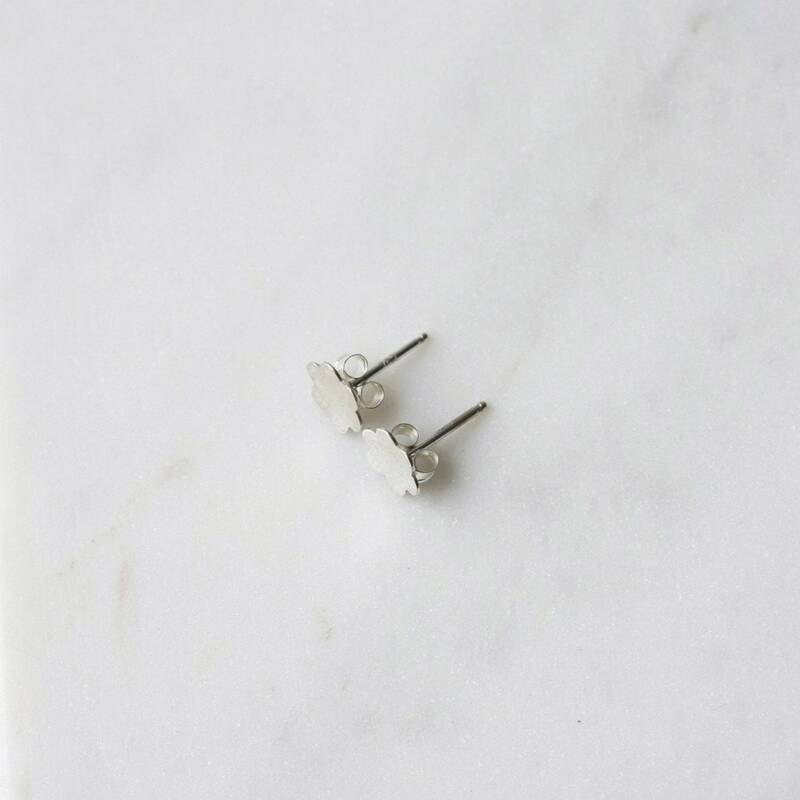 The earrings are lightweight and comfortable and will become a go-to pair in your wardrobe.